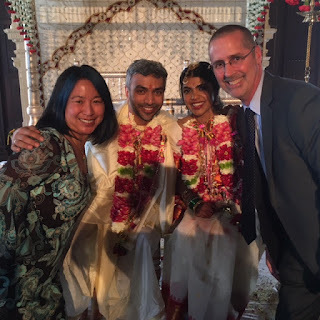 My last two blog posts have not gone through, so I'm hoping this one does. After a leisurely morning, we took the Virgin Train from Edinburgh back to London, then another quick train ride to Ashford. 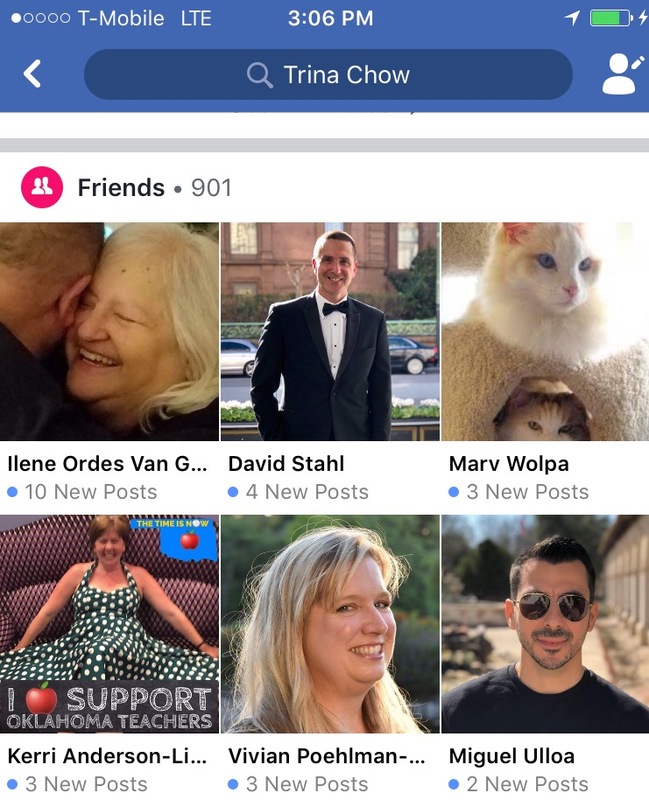 We met up with Paula and Reeves today and John and Gina will be joining us tomorrow. We will be staying here at Eastwell Manor for the next three nights. The Creviers have arrived in Edinburgh!!! We had a fabulous first evening out together. We're about an hour out of Edinburgh right now. So far, it has been a very nice train ride through the English Countryside. We took quick showers at the BA Arrival Lounge at Heathrow, then hopped on the Underground to Kings Cross Station where we'll take a train to Edinburgh. We are hanging out in the Virgin Train Lounge, which is really nice!! WiFi, snacks and even Hot Chocolate for me! 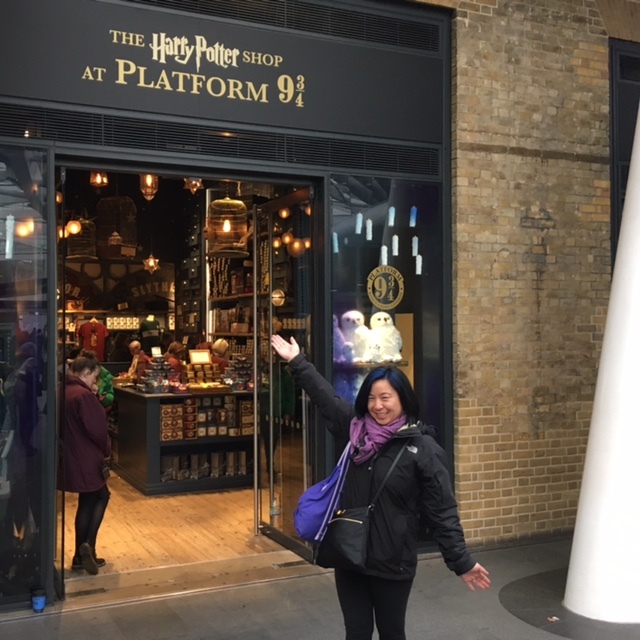 We took the obligatory Harry Potter Platform 9-3/4 photo the last time we were here two years ago, so I just took a quickie photo in front of the store. There was a huge line for the trolley photos. Our U.K. Adventure has begun!! We're off on our next adventure!! We are flying to London, then taking a train to Edinburgh, Kent, and eventually spending the last few nights in London. We are flying on a 747, throne with a double decker!! These planes are all being retired, so it is likely the last trip that we'll fly in one. We are up on the upper deck, which is so nice and spacious! 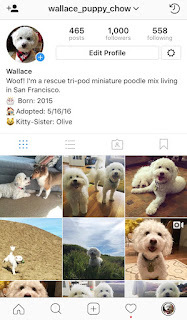 Wallace reached 1,000 Followers on Instagram today!!! That's quite a milestone!! Not bad for a little rescue pup! Wallace and Olive's Chinese New Year Treats!! Wallace and Olive both received $2 each from my parents and Auntie Betty for Chinese New Year. Traditionally, you are supposed to spend Lai See (Red Envelope) money on sweet treats. Wallace and I walked to our local pet store today with their $4 so he could pick out special treats for both him and Olive. He bought two mini no-hide chews for himself and a Mylar crinkle toy for Olive. Unfortunately, we got caught in the rain during our walk, but it was otherwise a very fun little outing! Thanks, Mom and Dad and Auntie Betty!! Fort Funston Fun with Kayak!! It's forecast to rain the rest of the week, so Mike and I brought Kayak and Wallace out to Fort Funston this morning. It was a beautiful day, and both dogs were so happy to be running around outside! The 80s Guard Geek in me is on Cloud Nine!! I am hosting an old school WGI video viewing party with TWO girls from Union High School and a Cavalier!!! We are prepping to watch the WGI Union City Regional together on Sunday. Rainy days mean indoor play dates for Yuki and Wallace. 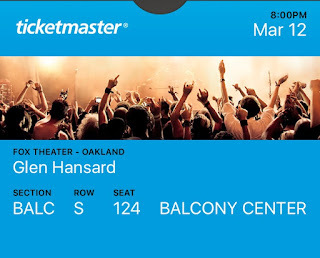 Here to see Glen Hansard!!! 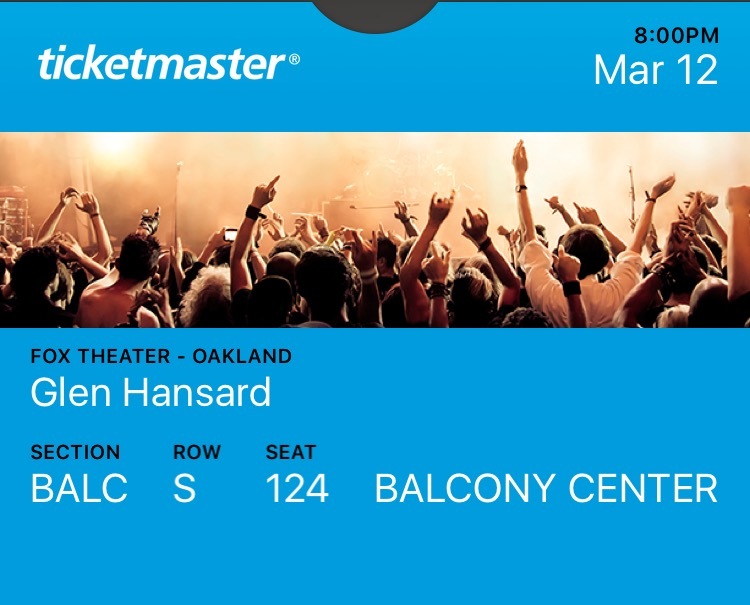 Nosebleed seat, sitting by myself (Tiffini Chow and Graham Hill are a few sections closer to the stage) but it's a gorgeous venue, and should be a great show!!! 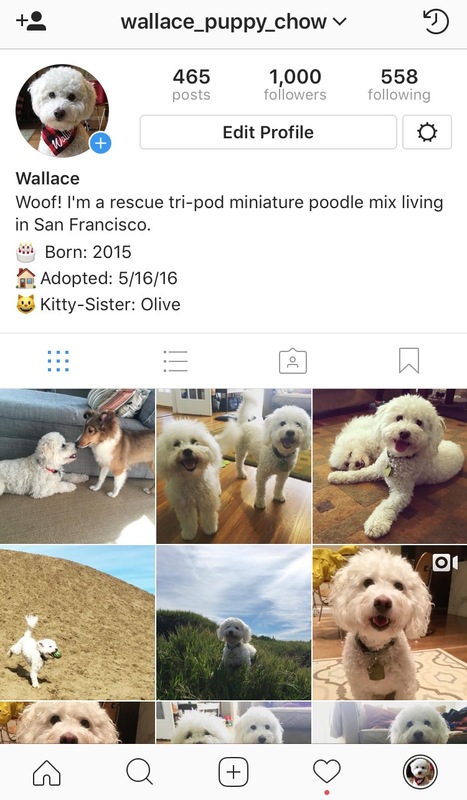 Wallace has more followers on Instagram than i have friends on Facebook. 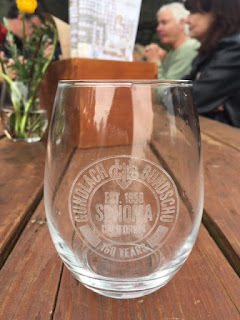 Today is the 160th Birthday of the Gundloch Bundschu Winery!! That was serendipitous timing for us, as we just happened to be coming by to pick up our wine club wine today. They had a really great party with food trucks, entertainment, wine (of course!) and they are a dog friendly Winery!! We loved it all. They have a nice patio area for wine club members and even provided us with tickets for free food. Wallace got a very special test: his first Ice Cream Sandwich. We look forward to coming back to more if the special events at this beautiful Winery! !